There’s always something more that you can do in your home! It can be the tiniest new detail or giving a total makeover to a room. The best part of these changes is that you can bring them yourself, especially when it comes to decorating – a DIY approach is something you can benefit from a lot, yet have fun at the same time without spending lots of money. For this month we’ve picked ten projects for you that you can use for decorating any of your rooms. Most of the shown crafts are really simple and budget – friendly and if done the right way, they can be a great gift for a person we love! Check out what we have for you and tell us which one you like the most. 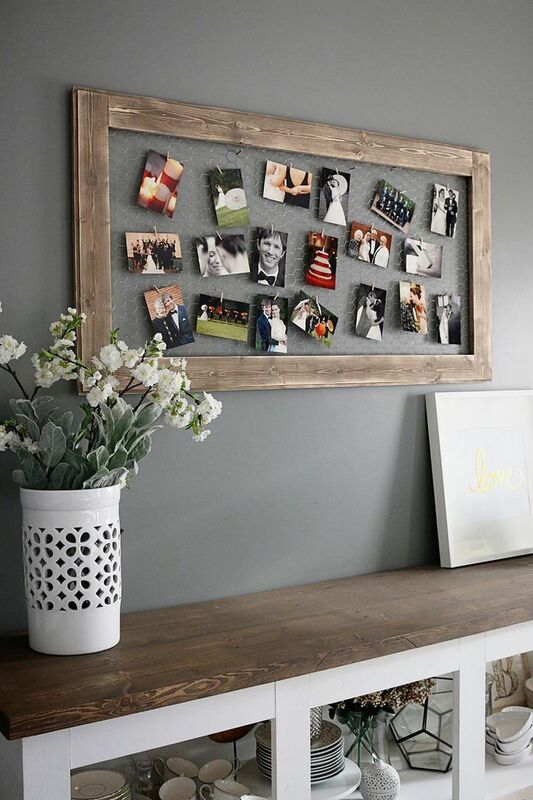 There are so many DIY photo frames and so far this one is seriously one of our favorites. It’s simple, good – looking and depending on the size of the materials, it can leave you with plenty of space for all of your photos. For this project you need 1×4’s and chicken wire, but you will also need some DIY tools such as drilling machine and paint, if you want to give the wood another look. Spring is coming soon, so it’s time to prepare our home for all the pretty flowers we can take in! This means getting new or giving another look to the pots we already have. 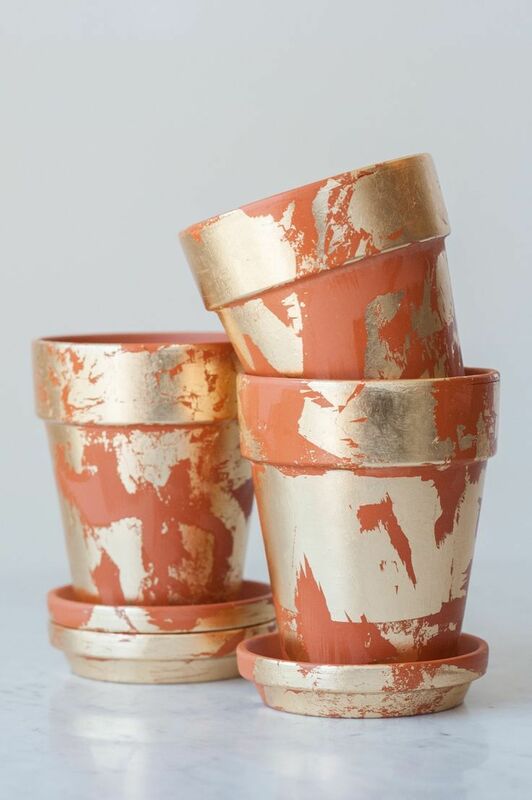 If you feel crafty and choose the second option, here’s an idea that can help – gold leaf pots. For this project, you need terra cotta pots, clean craft brushes, gold leaf sheets, gold leaf sizing and gold leaf sealer. Key holders don’t have to be just practical – they can look adorable too! 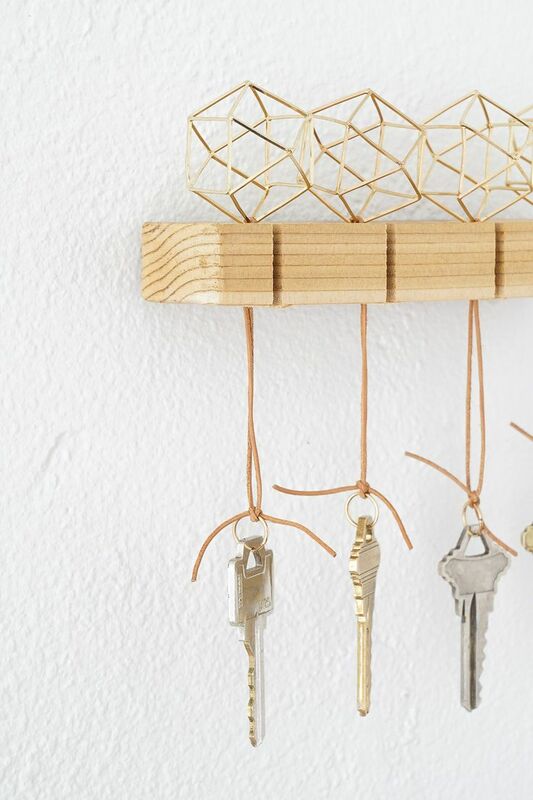 Forget about the store – bought, dull key holders and make your own, it’s really simple and fun as well. Geometry is always inspiring, so that’s why we’ll take some of that inspiration with us for this idea. Here’s what you need: rotary tool, 1″ x 2″ piece of wood, 2 keyhole hangers, screwdriver, 1.5 mm round leather cording, 4 gold jump rings or split rings, 4 caged necklace pendants, wire cutter, needle nose pliers, scissors, pencil and ruler. 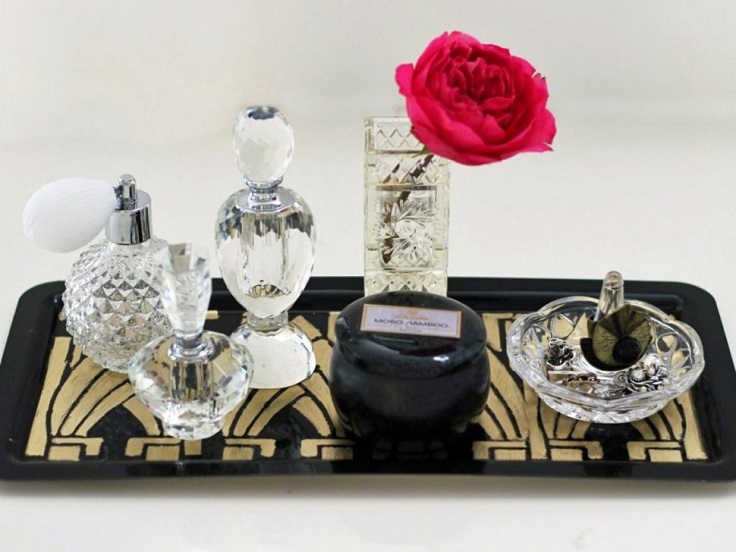 The vanity tray is the perfect table decoration for your living room, bedroom or hallway. If you want a more of a classy look, then get some inspiration from the 1920’s art deco style. You can’t go wrong with this one! To make your own vanity tray, you need tray (wooden, stainless steel, etc. ), black spray paint, art deco stencil, painter’s tape, acrylic craft paint in gold and paintbrush. You don’t have to wait for spring to bring some flower bloom at home. In fact, it’s going to feel super lovely if the weather outside is gloomy and grey and you have such beautiful, bold – colored flowers to cheer the atmosphere up! 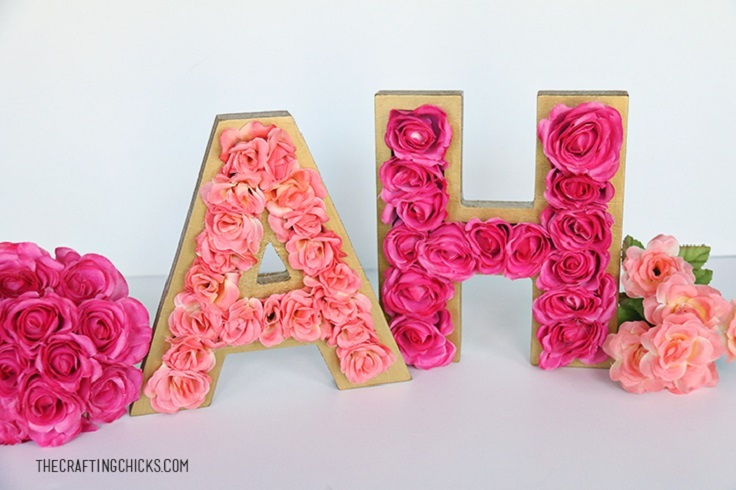 Floral monogram is an truly amazing decoration that can be put in any room. Here’s what you need: carved wood letters, gold paint, sponge paint brush, flower bundles, hot glue gun and hot glue sticks. Even the candles themselves can be a nice decor, but with the right candle holders, they can turn out to be the perfect little decor that would fit any room of your home. This project is super easy and will take you just a short time to have everything done! 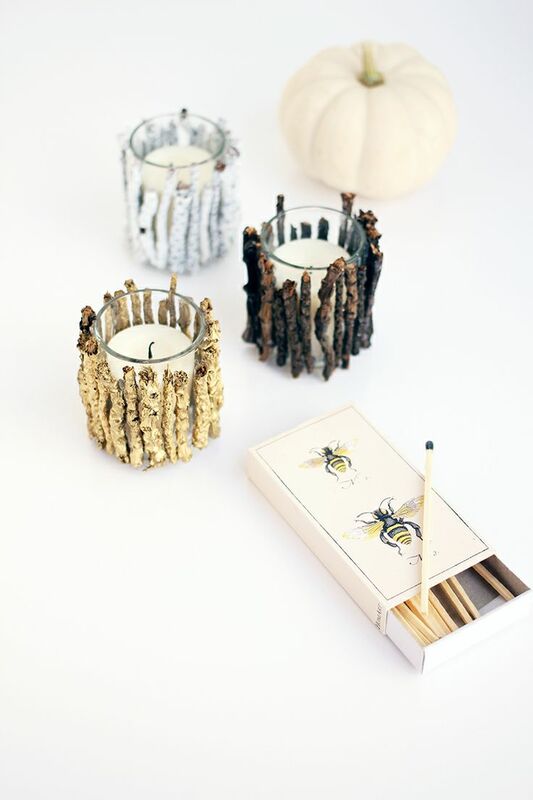 You need glass votives, votive candles, twigs, gold and white spray paint, hot glue gun & glue. Having candles will be such a nice experience! There’s something about pom poms that make them so fun and adorable at the same. They’re the perfect decor to bright up the room’s atmosphere and make it look amazing at the same time. You can make them yourself or just get some store – bought. You will also need white thread and branch. It’s a budget – friendly project that will take you no time to have it attached onto your wall! What’s a better way for bringing home-sweet-home vibes? 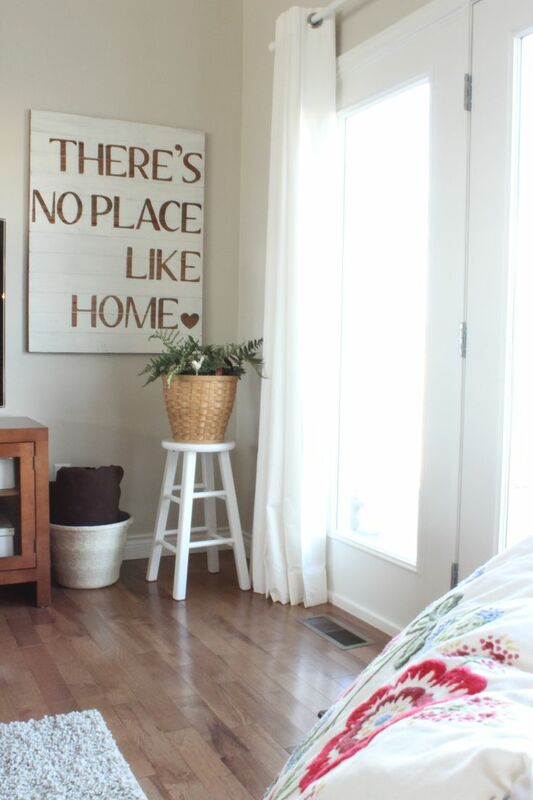 Hanging a sign with a sweet home – related quote is going to give you such warm feeling of being home – it’s going to be your favorite place for one more reason too! This project is simple, however it isn’t something you do last minute – it will take you some time depending on your DIY skills and access to tools. Sometimes there are those little things that take too much space, but then again you feel like they don’t belong everywhere! 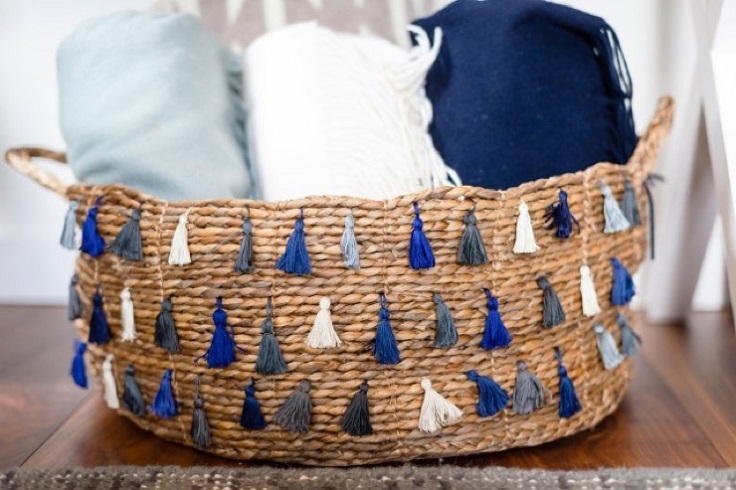 Instead of throwing them away, find them their own space, like a cute woven basket decorated with tiny blue tassels! You can put whatever you want inside and you’re going to love this project because it is very practical as well. Besides the basket, you also need embroidery floss, scissors and embroidery needle. 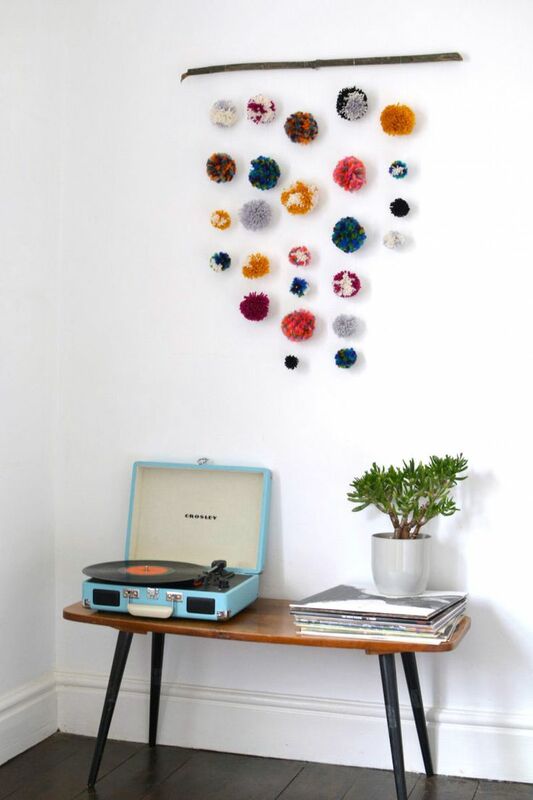 Isn’t this one of the cutest DIY projects you’ve ever seen? We’ve surely fallen in love with it the moment we’ve seen it! This project can be used in any room, as you can use the mugs to store different things. Here’s an idea how you can use it in your kitchen for storing kitchen linens. All you need for this project are mugs, screws, glue and a piece of small wood board.